The roots of teeth house a pulp chamber which contains nerves, blood vessels and connective tissue. Sometimes this pulp becomes infected or damaged. Symptoms may include: pain, sensitivity to temperature, loosening of a tooth, discharge or swelling of the gum and/or face. Causes can range from deep decay and damage to invisible cracks or chips. If left untreated the condition can lead to severe pain and/or abscess. 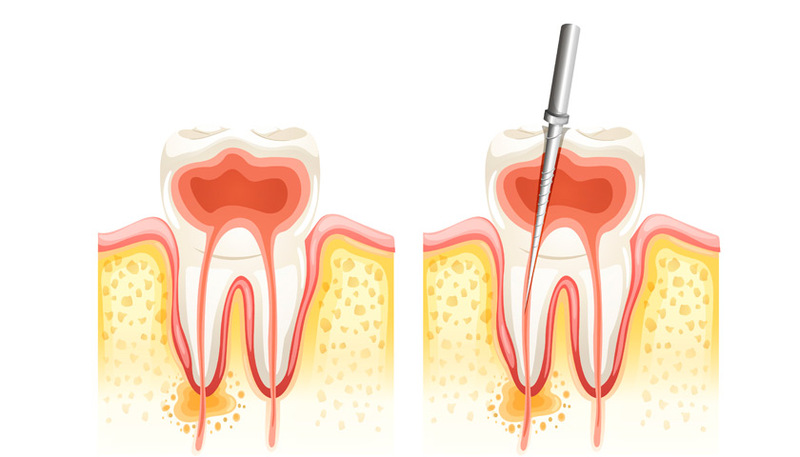 Root canal treatment, also known as endodontic treatment, is a procedure that replaces the damaged pulp with a filling. Tiny files and irrigating solutions are used to prepare the root for filling with a cement.